Construct and maintain style for up to 48 hours with this amazing heat-activated gel. 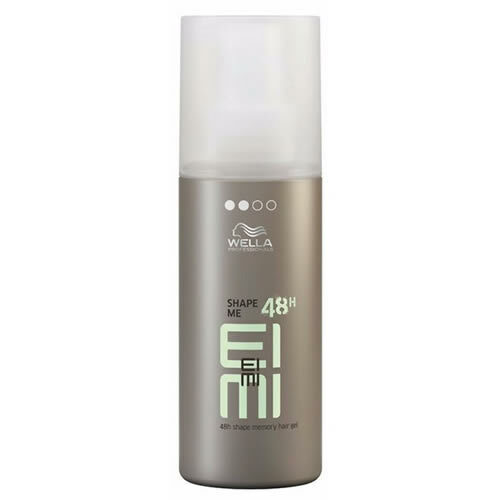 Wella EIMI Shape Me is a hair gel that has been formulated with a memorizing polymer complex to help sculpt styles your clients want—and then keep them in place for up to 48 hours! You will be able to mould and blow-dry your clients' hair as desired, using heat to activate the gel. It can be used on wet or dry hair and will give immediate structure and long-lasting hold. It's been developed with nourishing ingredients to care for as well as style hair. Simply rub a small amount of product into hands and distribute evenly through hair, from root to tip. Available in a 150-ml container. £8.82 (inc. VAT) Why no VAT? We're a trade wholesaler and quote our prices without VAT to help our VAT-registered customers understand the true cost of a purchase. Styling mousse offering extreme control with firm but touchable hold for the most modern, creative hair styles. Comes in a 500-ml can and has a hold level of 4.